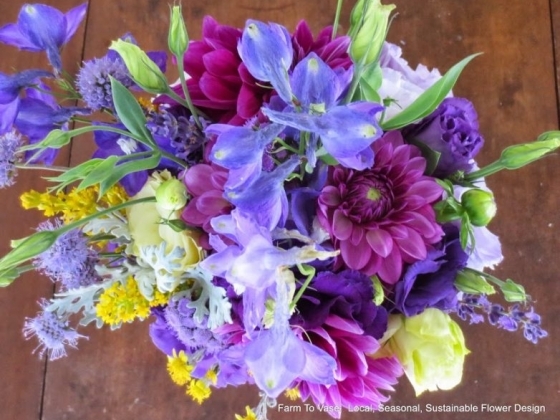 Farm To Vase provides seasonal, chemical-free flowers from farmers and craft growers within 30 miles of Madison, arranged beautifully and sustainably for Dane County's homes, businesses and events. Our flowers come from right down the road, grown by farmers we know by name. We work to reduce waste, bring nature back to a very unnatural industry, and give back to our community through outreach projects and donations. 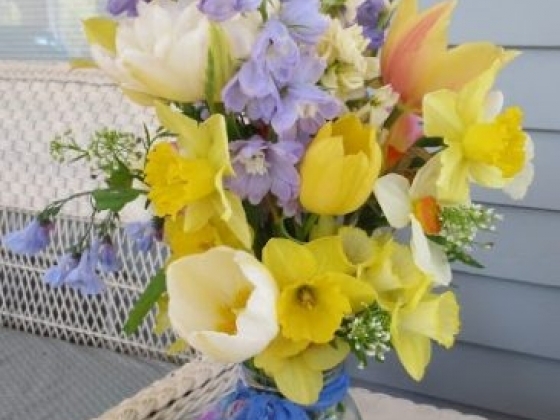 Unsold flowers are delivered to nursing homes and scraps are composted. A portion of profits goes to charities helping girls around the world, specifically GirlsNotBrides.org, working to end child marriage, enabling girls to attend school and fulfill their potential. Local flowers; global impact! Buying local means we can have the freshest flowers around. They last longer in the vase, smell sweeter, and remind you of the Wisconsin landscape you love. 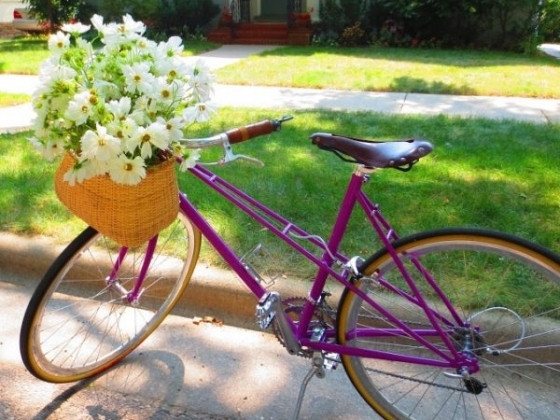 Twelve months of the year we find beauty locally, and deliver it to your door. Our respect for the seasons means we value impermanence, and see as much beauty in a peony or a pine bough; a daffodil or a dogwood twig. 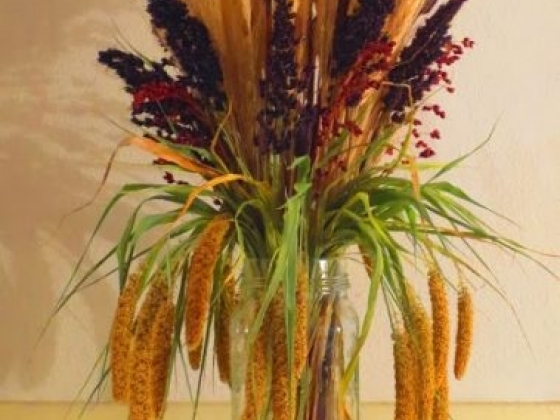 Even if you spend a lot of time indoors, Farm To Vase can help you stay in touch with seasonal change. Consider our Slow Bouquet Club subscription service for your home or office lobby! Our partner farms aren't in Ecuador or Columbia. They are in Madison, Sun Prairie, Mt. Horeb, Cambridge, Cottage Grove, Oregon, Brooklyn, Portage, and DeForest. We have confidence in our growers' sustainable practices and fair labor standards because we see them first hand. We're proud to support them! Every bouquet comes with a card listing each flower and exactly where they were grown. After enjoying flower design as a hobby for years, Ann Sensenbrenner, a former math teacher and stay-at-home mother, began to learn more about the unsafe and unnatural practices in the global floral industry. 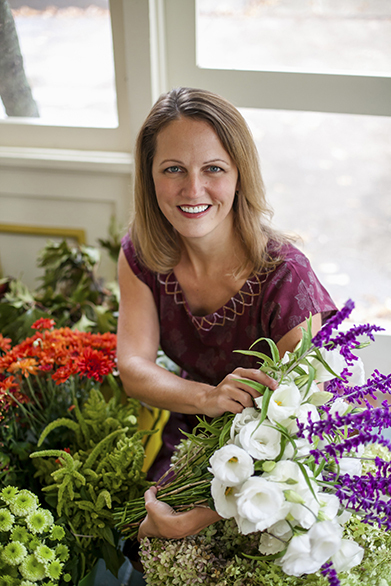 Working from home, she founded Farm to Vase in 2012 to provide a convenient way for people to buy pure flowers grown on the rich agricultural land surrounding Madison. One by one, she forged relationships with farmers and craft growers. She gathered recycled supplies and honed her sustainable practices. She became an expert at finding local beauty in the landscape every month of the year, regardless of the weather. She used social media to start to build a grassroots movement away from imported flowers, and she is committed to "giving back" in everything she does. Like us on Facebook to see what's blooming! Working with Ann at Farm to Vase was an extremely elegant experience. Ann’s main form of communication was through email, but we were able to set up times to communicate about our expectations over the phone during the planning stages. 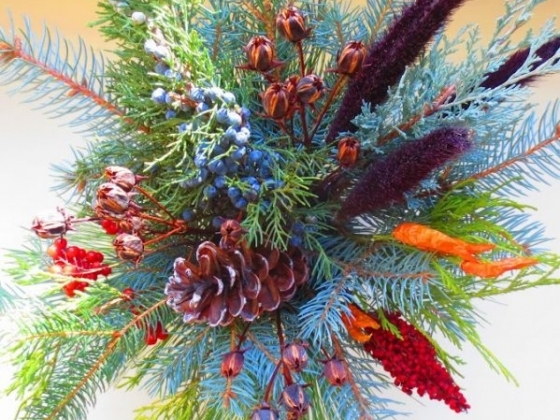 Ann made the vision of our holiday party centerpieces come to life. They were perfect for our venue, the tables, and for the experience of our party. Thank you Farm to Vase for offering a beautiful and reliable product at a competitive price. We will reach out again soon. Dealing with Farm to Vase was the best experience I've had sending flowers. Maybe the best experience I've had with online service. I even got a photo of the bouquet! I'm very pleased and recommend them to anyone.